I am a freelance mix engineer, recording engineer, sound designer, and session drummer who has a lot of experience with a variety of genres and artists, and have worked along side several very talented engineers including Ryan Black, Josh Niemiera, Patrick Pulver, and Grammy award winning producer, Michael Freeman. I also have a big interest in sound design and foley. Sound design is something I really dive into, and pay attention to every single detail to provide a truly immersive experience whether it's for film, animation, or video games. 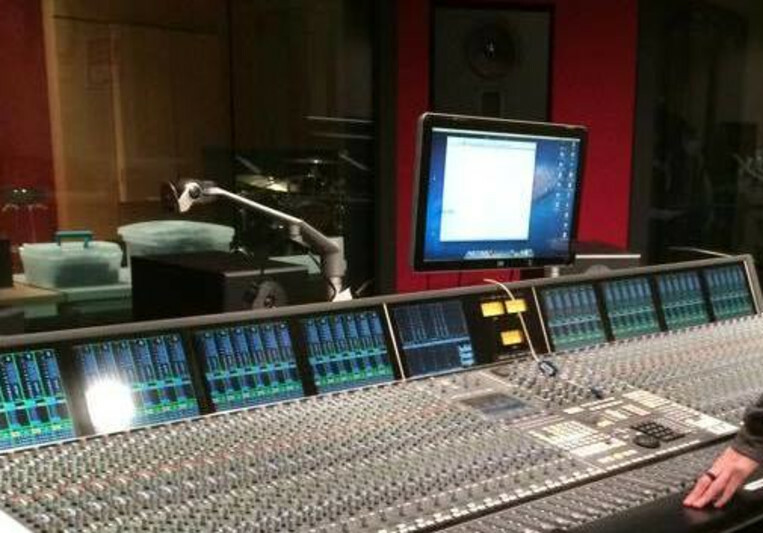 I have access to two fully equip recording studios utilizing SSL Duality and SSL 4000 E/G consoles, and a variety of microphones and outboard gear from the likes of Neumann, Violet Design, Shure, Royer, AKG, Neve, and more. I also have a home studio that I do a lot of work out of that utilizes equipment from companies such as Apogee, Blue, Shure, and Waves. For drum sessions I use a PDP/DW Concept Maple series kit, multiple custom snares, and I endorse TRX Cymbals. A: I recently helped out a fellow engineer, Patrick Clemens, record and film a live-in-studio set with the band Jackie Islands. I was an assistant engineer and was originally going to mix just one of the songs from the set. The band liked my mix enough to have it played on the radio, and to want me to mix the rest of the songs. A: Right now I am finishing up production on an album, mixing a live-in-studio set, and working on some sound design projects. A: Both. The character and flavor of analog and the convenience and work flow of digital. A: I promise to work my hardest to deliver something that we can both be proud of. A: The feeling I get when I listen to the finished product of something great that I had a hand in creating, and seeing how people react to it. A: I think one of the things that is misunderstood about what I do is the amount of work that goes into it. I've met a lot of people that think recording, mixing and mastering an entire EP's worth of material is something that could be done in an afternoon, with little effort. I take this job very seriously, and put a lot of hours into creating something that both the artists and myself can be really proud of. It seems like all too often the hard work that musicians and engineers put into their work gets overlooked. A: If I could describe my style I would say that I try to bring out the grit, drive, and punch in a song. I want to make something that puts you up on stage with a band that is playing their hearts out and to feel what they feel. A: I've been wanting to work with a band from Chicago called Marina City for awhile. I've hung out with a few members of the band in the studio before at an engineer friend's session, and have seen them live. They're great guys, and I'd love to work on an album or EP with them. I think I could bring out a really edgy quality in their music that would make them hard to overlook. A: I tend to gravitate towards heavier music. Genres like metal, heavy rock, punk, and even pop punk always came easier to me. A: I try to bring out the drive and grit in a song to make it sound competitive with something you would hear on the radio, but also with a unique flavor that makes it stand out, and the listener wanting more. A: I draw a lot of inspiration from bands like Periphery. Each member brings so much talent and knowledge to the group, and the end product shows it. I'm also a big fan of Taylor Larson and Adam "Nolly" Getgood's work. They are both great engineers, and played a big part in how I developed my own sound. A: Most of the work I am usually doing involves either recording, mixing, playing live drums, or any combination of the three.